Just to set the record straight, this is not the black/death metal Lucifer’s Hammer from Michigan—who have broken up, by the way. This Lucifer’s Hammer comes from Chile. Thankfully, they not only make the Chilean metal scene proud, but also all of South America’s metal troupe. 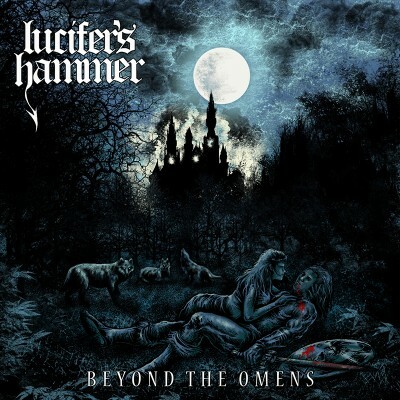 The debut record from the band may be drenched in ‘80s–heavy metal denim and leather, but unlike many bands these days who try to recreate that glorious decade of metalness and instantly sound like a bad rip-off or cover band, Lucifer’s Hammer stay true to their art and sound honest, on top of tight-as-hell songwriting. The opening track, “The Hammer of the Gods,” sets a gooey, ‘80s tone with a great opening riff and sees the vocalist spanning his range right out the gates from mid to high to some falsetto. Things really get rolling once the mostly instrumental second cut, “Lucifer’s Hammer,” starts its thrashy riffing, fast and rife with glorious, heavy metal soloing. It sounds like the band members have been playing their instruments for a long time. One of the most endearing qualities of Lucifer’s Hammer is their adaptability. The record does a great job at capturing so many facets of what made the glory days of heavy metal great. They have the riff-producing chops to create those anthems, backed by the slower, pummel-your-face, Saxon-type riffs. Yes, I’ll say it: There is a hint at ’80s hair metal, but the kind you want to listen to over and over again: maybe a little bit of Dokken, Whitesnake panache—really only a couple of the few hair bands I can stand—and with some of the fist-pumping heavy metal action of, say, Armored Saint and Metal Church. To reiterate, I don’t list all these bands as anything that Lucifer’s Hammer are directly copying. They’re just subtle influences that you can hear from a band that keeps its songs fresh. A fully focused listen exalts maximum metal satisfaction. Background listening, though, is great, too. Honestly, the only negative I can pick out of everything on this record is the vocal range, which could be changed up a bit more, because after a few listens, it generates the same feeling, and I start to forget the vocals are even there.